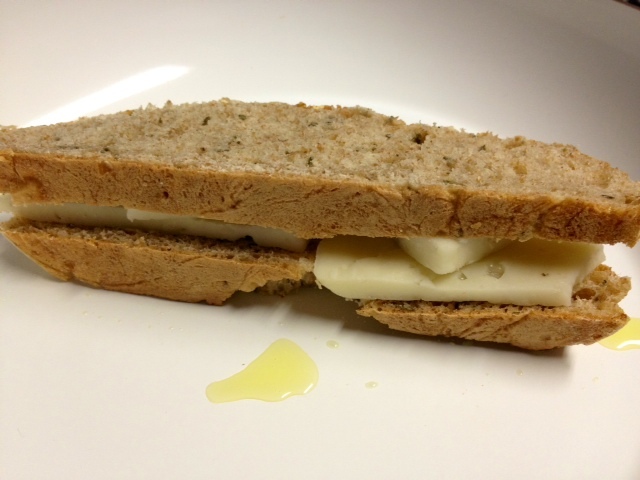 We had some leftover rosemary olive oil bread, which is possibly the best bread ever. We’d made it for dinner the night before, but didn’t eat the whole loaf. 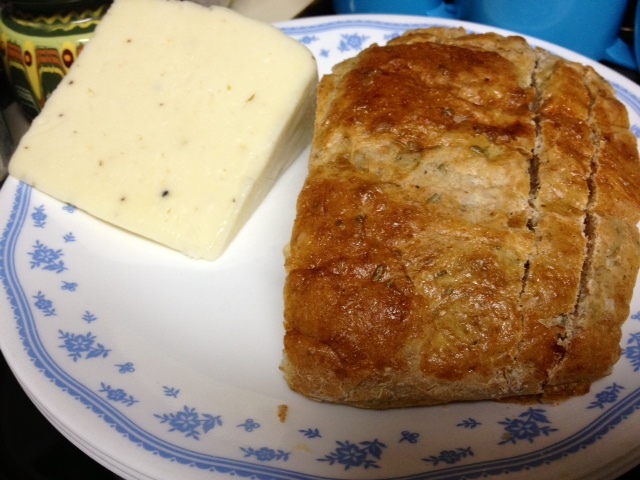 And, we had a giant chunk of truffle cheese she’d picked up at Sam’s (I always get mine from Trader Joe’s). I will pretty much eat ANYTHING with truffles in it. 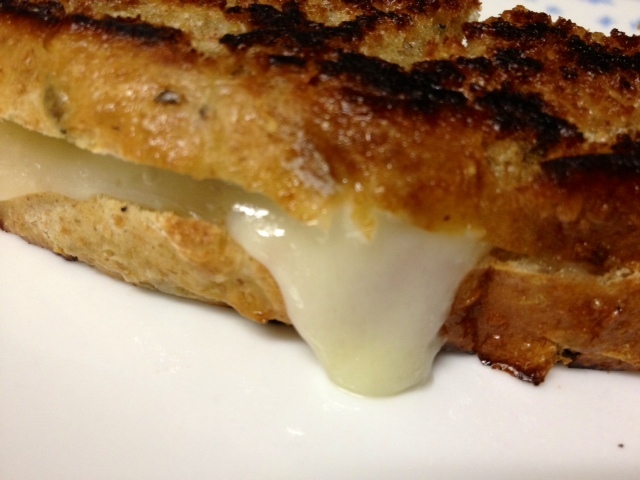 So one of us said, well why don’t we just make grilled cheese? Long story short, we did. And it was amazing. So when she was here in Atlanta a month or two ago, we did it again. This time we used a non-stick skillet instead of a castiron griddle, and instead of slathering the bread with butter we used a drizzle of olive oil. 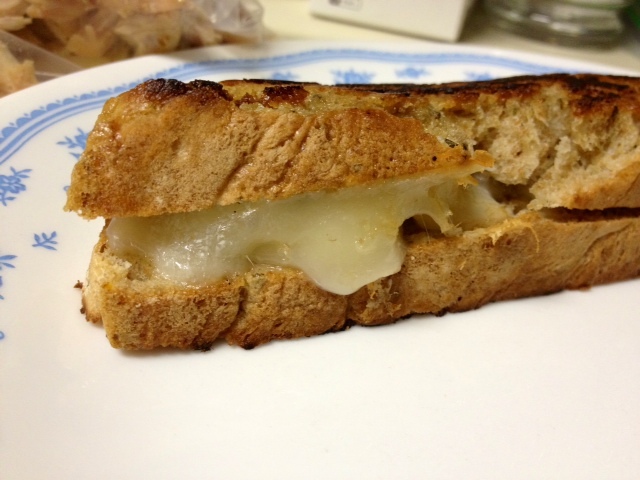 So the next time you think grilled cheese, think about taking it up a notch…your belly will thank you!